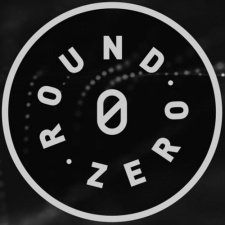 Finland-based Hill Climb Racingdeveloper Fingersoft has launched a new data-based mobile game publishing label called Round Zero. The new division offers early stage mobile developers free installs and access to performance data to evaluate a game’s potential, “no strings attached”. Should a game show promise, the developer will then move further along its publishing pipeline, with the potential for a global publishing deal with the company. Round Zero’s first published title is Superplus Games’ physics-based tank game Hills of Steel. The publishing label expects to analyse over 200 games during the next year, from which between three to eight games could get published. Fingersoft VP of Publishing Daniel Rantala has been named as CEO of the new publishing label. "Fingersoft has published 12 games during its five-year long career,” said Fingersoft CEO Teemu Närhi. Rantala added: “The mobile game market is vast and saturated, which has created tremendous competition in quality, marketing and design. We started to think that if, for example, Flappy Bird’s developer had offered the game to us, we probably would’ve refused to publish it.